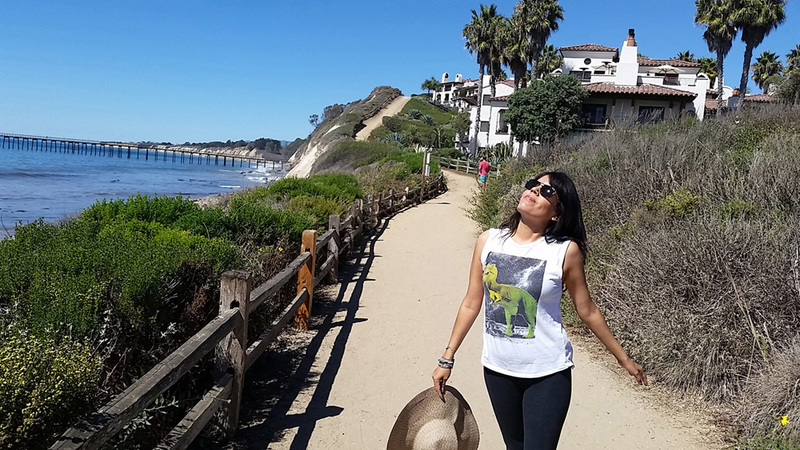 With miles of stunning coastline and more than 300 days of sunshine a year (yes, that includes winter) it’s no wonder Santa Barbara is often referred to as the American Riviera. 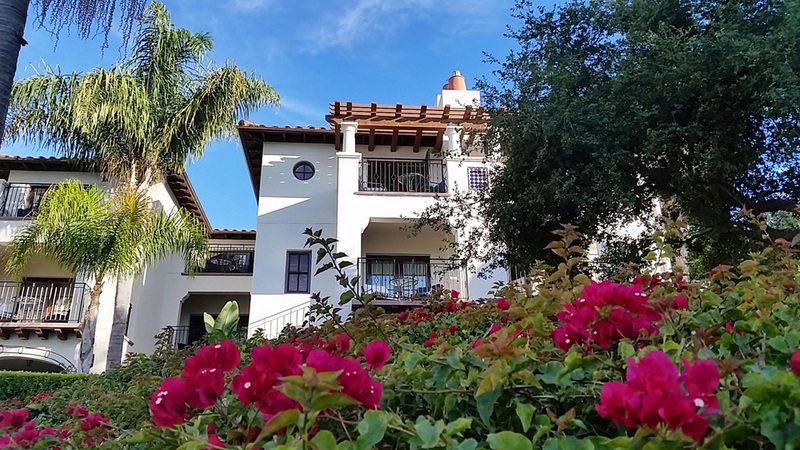 Located between the Pacific Ocean and Santa Ynez Mountains, this year-round destination beckons visitors with world-class resorts, endless beaches, a bustling downtown scene and beautiful Spanish architecture. (And for those of us in LA, it’s just a two-hour drive north of the city!) Whether you plan to stay a while or just want to take a day trip, one thing’s for sure: You’ll have an unforgettable time in this fun, historic town. 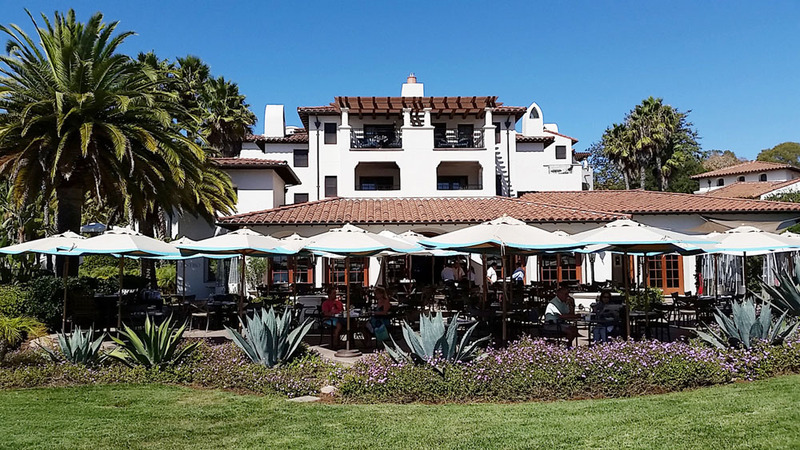 If there’s one place that has become synonymous with Santa Barbara luxury it’s Bacara Resort & Spa. (OK, it’s technically in the neighboring town of Goleta, but when a place is this fabulous, who cares?) It first opened in 2000 but feels as though it’s been around forever. 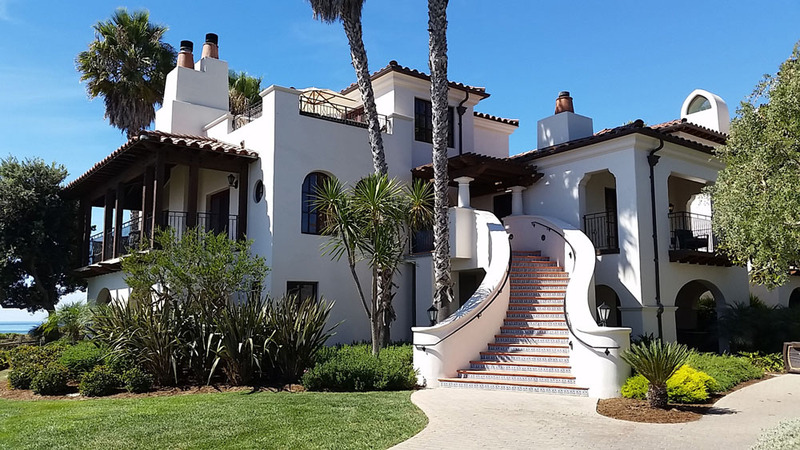 The sprawling 78-acre property is set atop the bluff and beach along the rugged Gaviota coastline with a gorgeous maze of Mediterranean-style villas surrounded by cascading bougainvillea and beautifully landscaped lawns. Walking around the property is a joy in itself. The two heated saltwater pools overlooking the ocean are popular hangouts, especially as the day goes on. Grab a chaise lounge early in the morning and you’ll have the place all to yourself. (And don’t forget your complimentary newspaper and free coffee and tea at the Bistro’s serving station!) FYI: If you want to jumpstart your fitness goals, consider Sky Ranch Fitness wellness retreat at the resort. You’ll hike, spa and eat your way to wellness! Home suite home: All the suites and guest rooms at Bacara are housed in villas like this. I mean … are you kidding me?! If you really want to treat yourself, splurge on a treatment at the Spa. There are 60 specialized treatments and the therapists are second to none. But even if you don’t book a massage or facial, as a resort guest you can enjoy the spa pool, Jacuzzi, redwood sauna and eucalyptus steam room (it smells amaze!) at no additional charge. And don’t dare miss out on the Spa Cafe for lunch. Whether inside or outdoors, the space is lovely and the vegan and gluten-free friendly dishes are absolutely delish! 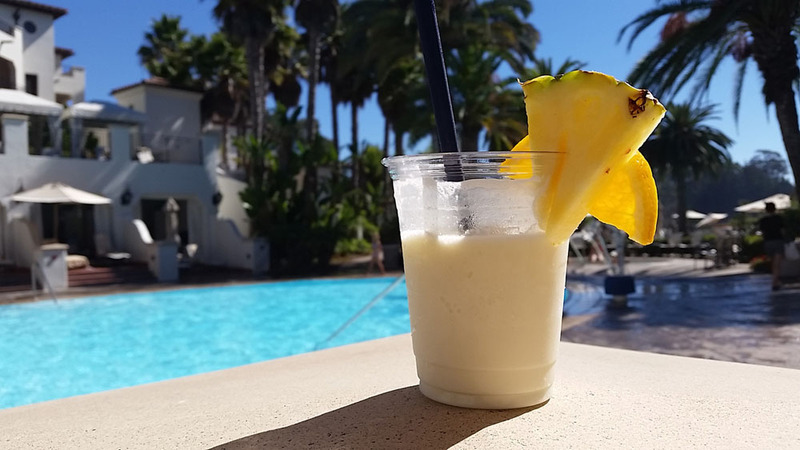 If you like pina coladas … I’m not much of a drinker, but even I couldn’t resist this delicious classic cocktail. It’s pretty much vacation in a cup. Hint: It’s on the cabana menu, so even better — book a day in your own private cabana and just sip, relax, repeat. You’d never know this five-star hideaway was here unless someone told you. (You’re welcome.) 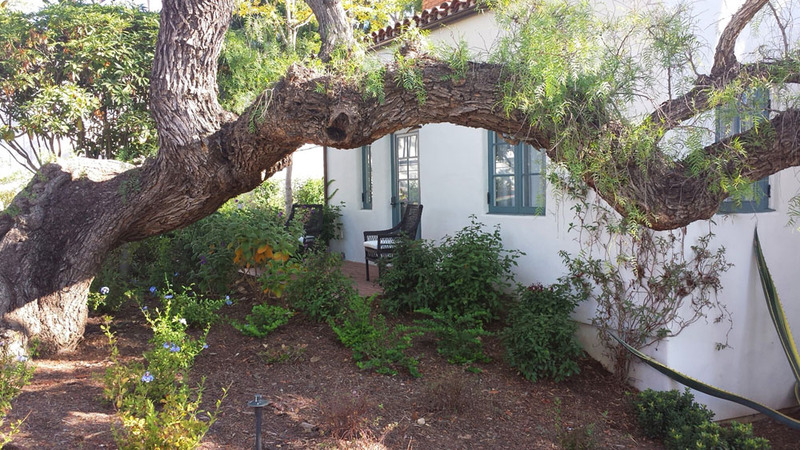 Tucked away on seven acres of beautifully preserved gardens way up in the hilly residential area of Santa Barbara, this property is perfect for a romantic getaway. 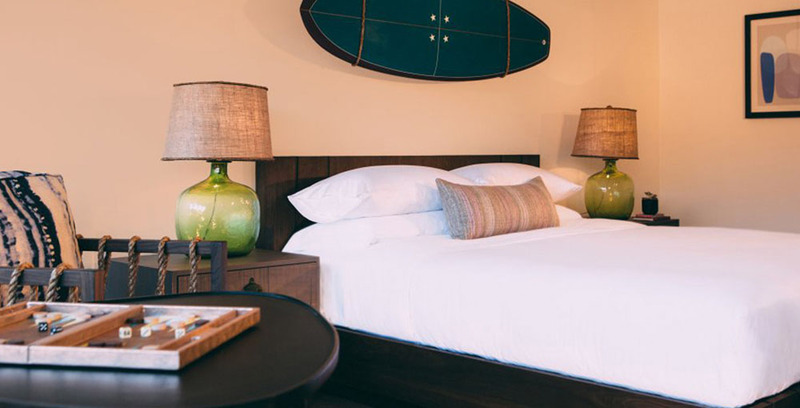 It feels very private, more like a bed & breakfast … a very luxe, laidback B&B. No hotel elevators. No heavy foot traffic. Just pure relaxation. 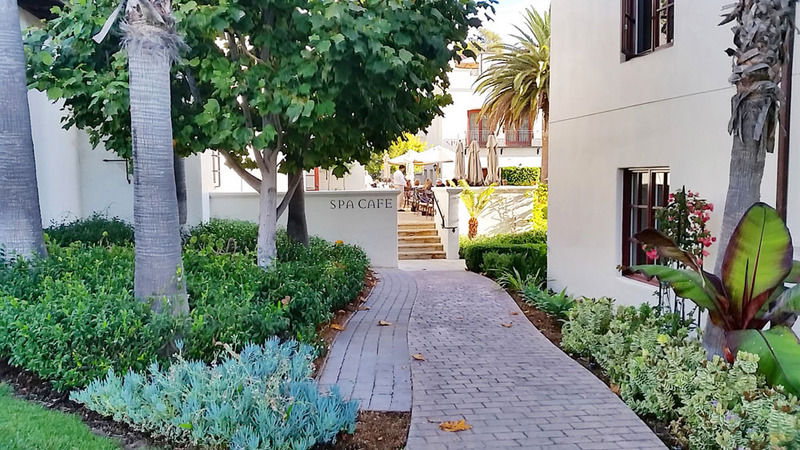 This newly refurbished midsize hotel in the Santa Barbara area offers beach-chic SoCal style that won’t break the bank with rooms that start at around $160 per night. There’s a spa, restaurant and bar onsite, so even if you don’t use the complimentary bikes to explore the town you’ll have plenty to do just sticking around the property. Is it a bus or a boat? It’s both! 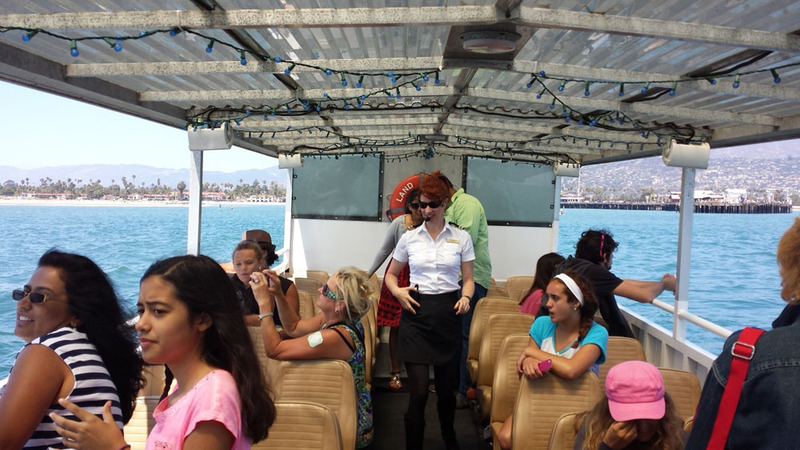 By far the most fun and unique way to see Santa Barbara is the Land Shark tour. This amphibious vehicle will show you everything from the oldest landmarks to the newest spots within the downtown area, but the best part is saved for last: Driving into the water! On my trip we even got up close to sunbathing sea lions. Tickets are $30 ($15 for kids 10 and under) for the 90-minute narrated tour. A definite must-do! If you really want to get all the deets on SB, check out the Santa Barbara Trolley. 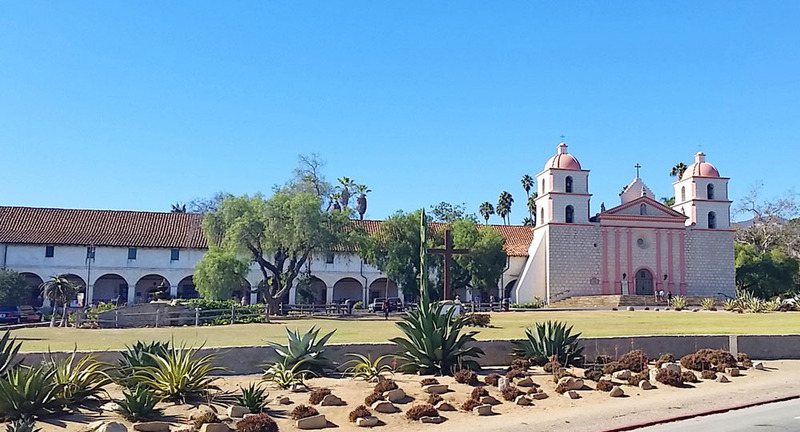 This tour will take you to many of the same spots as the Land Shark (like the 80-foot Moreton Bay Fig Tree), but you’ll also drive into the surrounding town of Montecito and maybe even catch a glimpse of the giraffes at the zoo. (I did!) Passes are valid all day, so you can board the trolley anytime, stop off for as long as you want, then catch the next one that comes along. Tickets are $22, which includes one adult + one child. 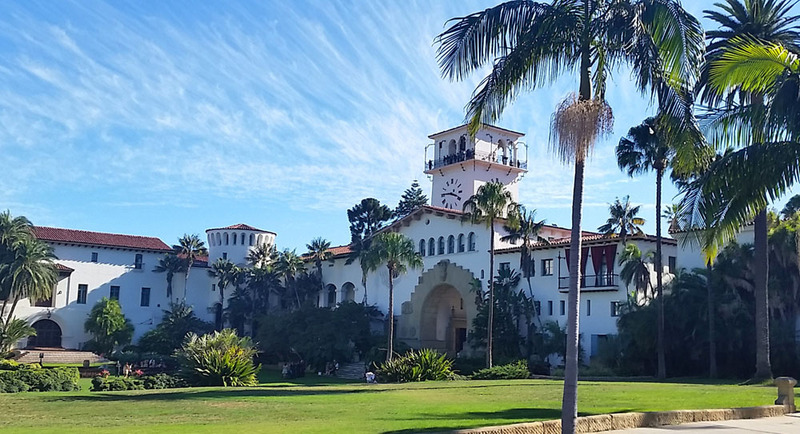 One of the most striking things about Santa Barbara is the Spanish style architecture you see everywhere and the Courthouse is no exception. One of the city’s most popular tourist and wedding destinations, this historic building is a must-visit with its famous mural room, beautiful grounds and observation tower. It’s a major hike up all those flights of stairs, but oh-so worth it once you get to the top and take in the stunning views. Admission is free, but donations are appreciated. 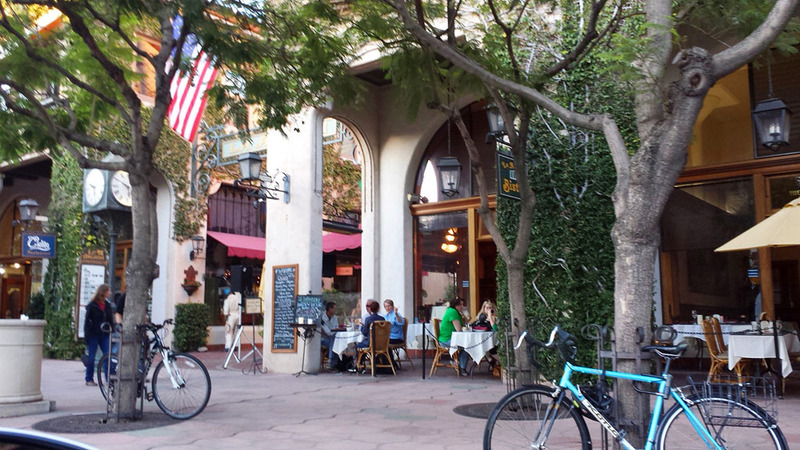 Just a stroll or trolley ride away from the water, State Street is what I consider the main hub of Santa Barbara. Wander through the outdoor paseos of local specialty shops or browse brick-lined plazas to find big retailers ranging from Nordstrom to a gigantic Forever 21. Whatever you do, this tree-lined row of shops, sidewalk cafes and theatres has so much to see you’ll need days just to get through it all. This iconic site is a must for history buffs. (It’s also one of the stops on the SB Trolley tour.) There’s nothing quite like walking through the halls of a building that has been around since 1786 — it really is like walking back in time. But I have to admit my favorite part of visiting the Mission is browsing the Serra gift shop. (OMG #retailconfession!) I always end up coming home with a memento like the precious Guardian Angel pendants they have for just $2.50. It’s the little things. For a funky good time head over to this emerging neighborhood located just off the main drag of State Street. What was once a stretch of aged warehouses near the train tracks has now become an eclectic hub of wine tasting rooms, microbreweries, art galleries, modern restaurants, cafes, artisan shops and even a guitar bar, craft distillery and free lending library housed in a red telephone booth from London. Funky indeed. 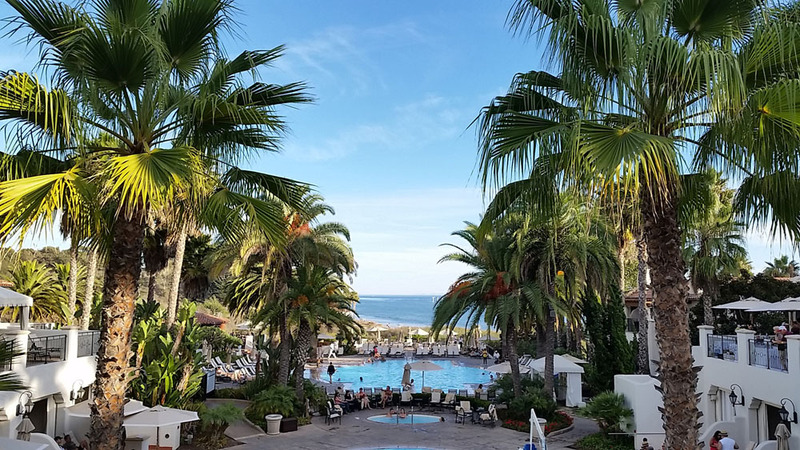 You don’t have to be staying at Bacara to get a taste of the good life. Situated near the ocean with sweeping views of the coastline, The Bistro feels fancy but with a totally casual and relaxed atmosphere. The food is fresh with locally sourced ingredients and farmers’ market vegetables that burst with the flavors of Italy. It’s also great that they accommodate dietary restrictions, so I was able to enjoy a cauliflower ‘steak’ as much as the next guy enjoying the real thing. Located right next to the historic Granada Theatre on State Street (you should definitely catch a concert there if you can), Sama Sama is the cool kid on the block serving up tasty Indonesian food made with local-farm ingredients. This place gets pretty loud during happy hour but that’s part of the fun. 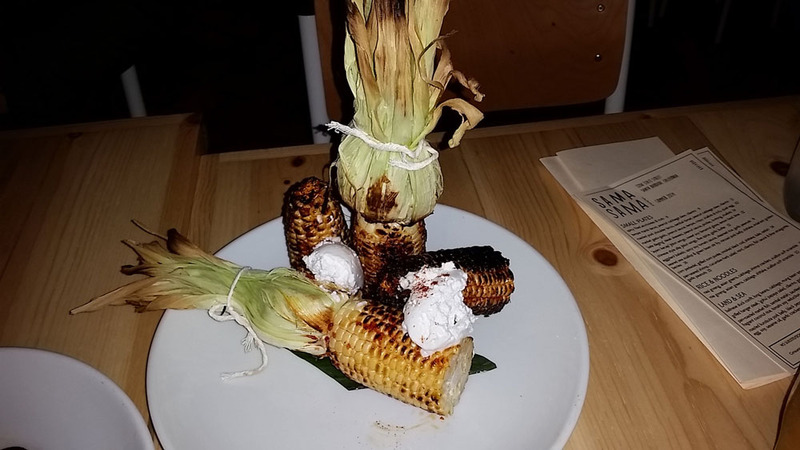 You’ll find dishes like eggplant balado and grilled short rib gohu on the menu, but the most incredible dish I had was the grilled corn served with coconut butter. Uh-maze! 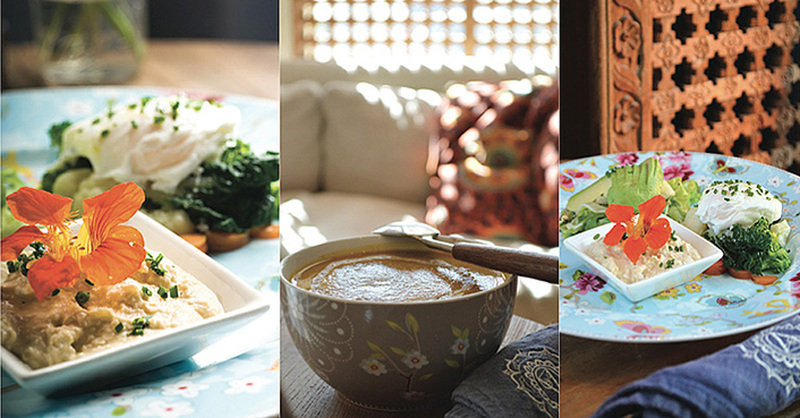 Did somebody say 100% gluten-free vegan comfort food? Yes, it’s true! Ever since switching to a plant-based diet, going out to eat has been a challenge for me, so you can imagine how happy I was to find Adama. 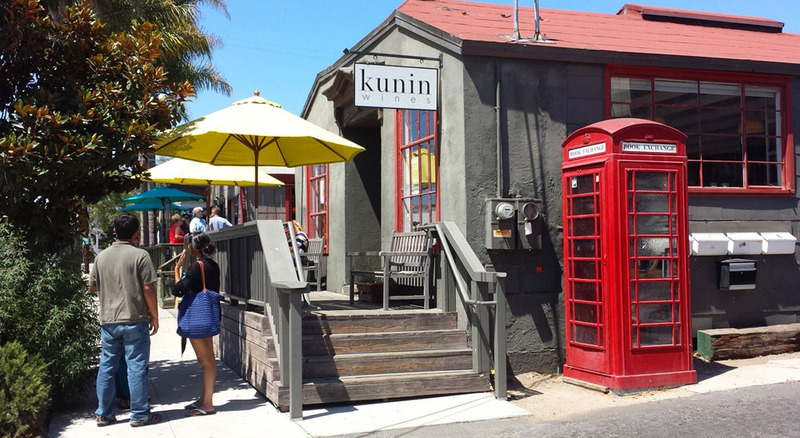 Located in the building that once housed Santa Barbara’s oldest restaurant, this adorably modest spot is a friendly haven of good-for-you food that actually tastes great. There are plenty of lunch and weekend brunch options; for dinner the mushroom piccata is out of this world. 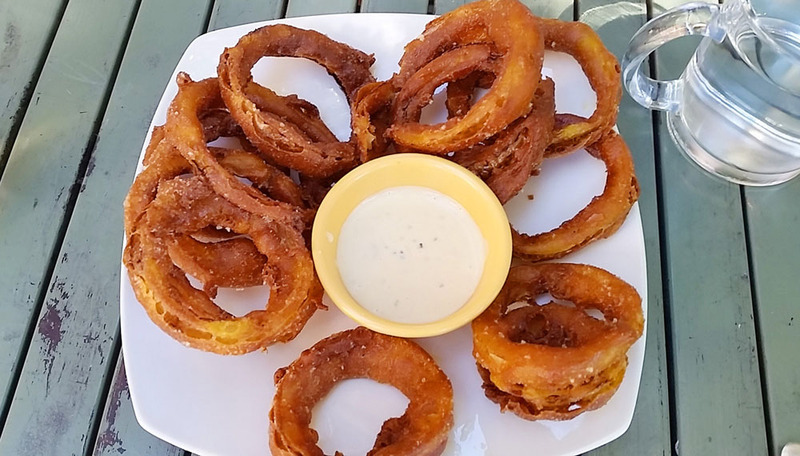 Just don’t leave without ordering the vegan curried onion rings, iced organic mint tea and their homemade version of the Oreo cookie – the ridiculously puffy cream sandwiched between two crispy-chewy chocolate cookies is heaven! Located right next to Adama, this peaceful three-in-one spot is actually more than a cafe. Its also a wellness center and full-service spa. I’ve yet to take any yoga classes or book a spa treatment, but I can recommend the fresh-pressed juices and seasonal menu of soups, salads and sandwiches. Some of the dishes do need a little boost of salt or seasoning, but I’d rather have to do that myself than have a plate full of hidden ingredients. Enjoy!